Still wondering what that walis-looking brush is for? Check this out! This small and wide brush is designed for mineral makeup application. Use it with loose powder and apply on your skin using circular motions for that flawless finish. Yes, it's the one that looks like a mini-walis. You can use this brush to sweep away fall-out from eyeshadow application, or to highlight your cheekbones. 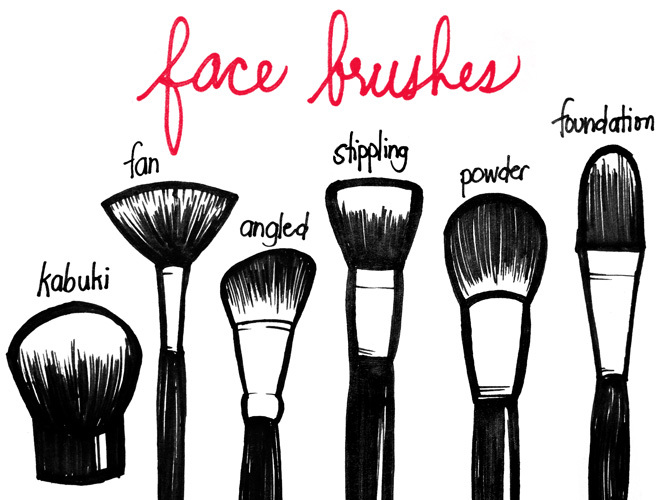 Use this brush to contour your face. It makes applying bronzer onto the hollows of your cheeks a breeze! You may also use it to apply blush. Cop that airbrushed finish without actually having to go to a pro by using a stipple brush to apply cream and liquid makeup. "Stipple" or "dot" the product onto your face then blend, blend, blend with feather-light strokes. A powder brush is round and fluffy, usually made of natural animal hair to better pick up talc. (Remember, brushes made of natural hair work best with powder products, while synthetic-haired brushes work best with creams and liquids.) Use this to sweep on powder to lock in your foundation. A foundation brush is normally made of synthetic hair to better pick up liquid and cream foundations. Use this brush to evenly apply your liquid or cream foundation all over your face. A smaller foundation brush is also perfect for spot-concealing and for covering up your eyebags. 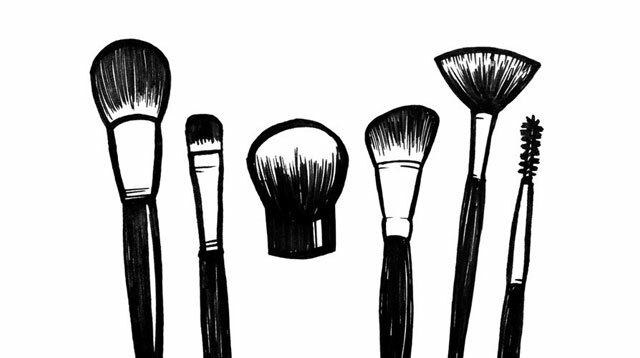 You’ll only really need two eye brushes in your life: a flat shading brush and a good blending brush. This brush is fluffier than most eyeshadow brushes and should perfectly fit the crease of your lids. You may also use it to contour your nose. 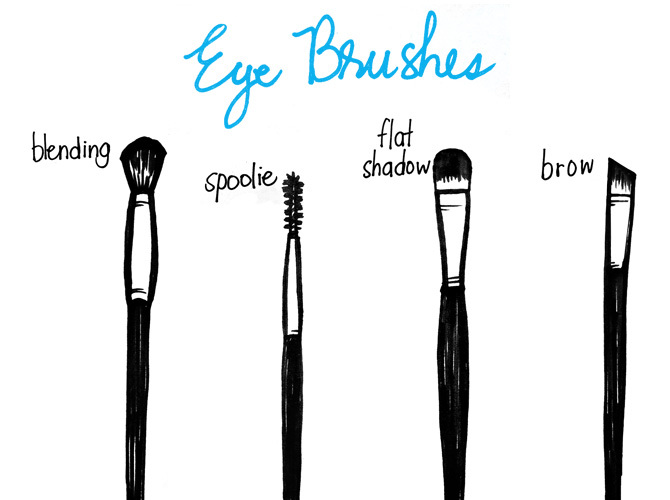 A spoolie brush will serve you two purposes: groom your brows and declump your mascara. Use it to keep your brows in place before filling them in with your pencil or brow powder. Afterwards, run the spoolie across your brows to make them look more natural and to remove harsh lines. As for declumping mascara, simply run the brush through your newly mascara-ed lashes et voila, no more clumps. Use this brush to apply your base color eyeshadow all over your lid. You can also use it to apply your highlight color on your brow bone. An angled-brow brush is small with stiff bristles. The angle of the brush makes filling in your brows way easier. Dip it into your favorite eyeshadow or eyebrow powder and lightly fill in your brows until you get your desired look.